This past week, an interesting story emerged out of an assisted living facility in the Santa Clarita Valley of California where the spirit of the holidays was seemingly on its way to being banned in the common areas of the facility. After a series of rumors and holiday decorations of various beliefs, including a Christmas trees and a menorahs were removed from the shared living spaces of the establishment; the senior residents decided they had had enough! While management of the facility claims there was no religious or political reasoning behind the removal of the decorations, and that there was no intention of keeping them down permanently, after a series of serious rumors facility residents organized an effort to bring back the cheer. According to reports, a serried of intense community meetings ensued in the activity room, angry supporters sent hoards of Christmas cards, and discussions became so heated that even a security guard was brought in to keep the angry seniors in line. Earlier this week, the trees and menorahs were replaced; leaving seniors happy and facility managers standing by their statements that the whole brouhaha was simply a misunderstanding. Whether it was or not, we may never know, but the story clearly illustrates that getting older does not change one’s ability to maintain their own, very strong opinions and preferences for how they like to enjoy the holidays – and every other day, for that matter! While seniors living in assisted living may have little choice in how their living spaces are decorated, being able to age at home allows seniors the freedom to decorate and live how they choose. 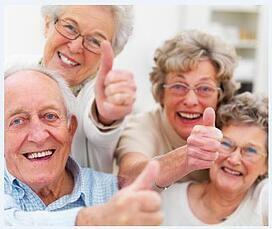 Often, the most important part of this is finding a reputable home care agency to provide assistance. Ideally, agencies that utilize a home care software, or reliable home care systems, such as ClearCare to manage operations can provide not only great care, but care catered to senior preference. For example, tasks within a home care software or notes logged in home care systems can remind caregivers to help seniors who love some spirit to set up a tree, or likewise, for those who celebrate a different holiday or choose not to, home care software and home care systems can be an easy way to track client religious and holiday beliefs . While seniors in assisted living facilities are fighting for their right to decorate, home care coupled with a robust home care software or home care systems, such as ClearCare, can allow seniors to not only deck the halls to their liking – but also do it in the comfort of home!